I am Charlie34, hire me today! 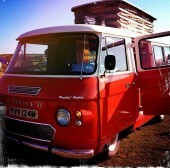 The VW is great camper van, it comes with all you need to have a memorable camping experience. The white great looking van is ever ready to take you camping. 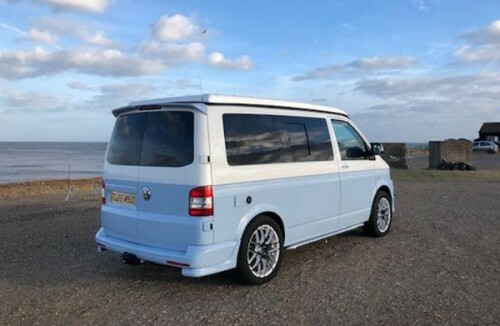 Beautiful 2018 Gino T6 Retro Luxury Conversion with, wind out awning, night heating and solar panels, so no need to hook up! 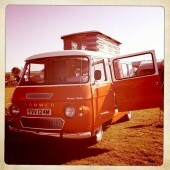 Elwood is a cracking 23 berth pop top with Bilbo interior. It has a large full width bed, sink, hob, leisure battery, with a 240v hook up and a plug in cool box. Volkswagen baywindow, 1974 Just restored - Vintage cream and pastel white. You make my heart sing! This camper has everything you need to relax, watch the surf roll in and have a groovy time. Comes with 2 Burner gas hob, electric pump sink with 10L water container, 12v and 240v portable coolbox and a mains hook up cable. Our Cath Kidston camper complete with polka dot floor and pop top and yummy strawberry curtains.